NEW MODEL: Engine IPS 600 with JOYSTICK style pure and dynamic of the Prestige 500 Fly is not done at the expense of the quality of life. 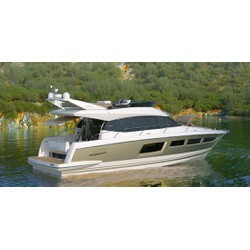 It was designed to offer more comfort zones to all members of the crew. 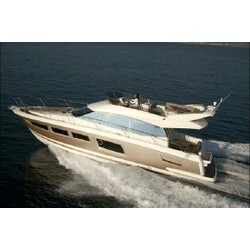 The flybridge is large, comfortable, friendly. At the front, the relaxation area becomes a true terrace... open-cockpit, lounge, comfortable cockpit and cabins of large volumes, everything is done to meet those who wish it and allow others to isolate oneself comfortably. during the Salon de Cannes there wins "Best Interior"